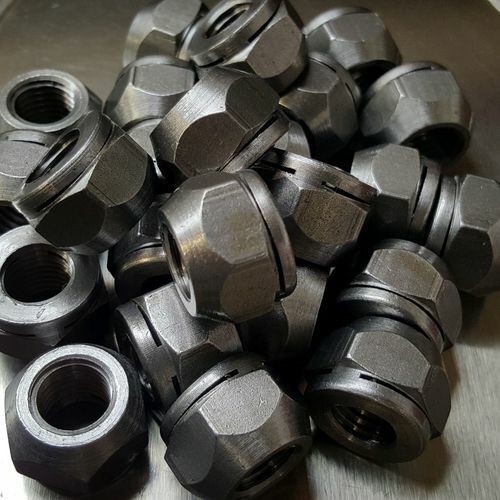 Trojan Special Fasteners Ltd routinely manufactures prevailing torque nuts to customer's requirements in multiple material and finish combinations. 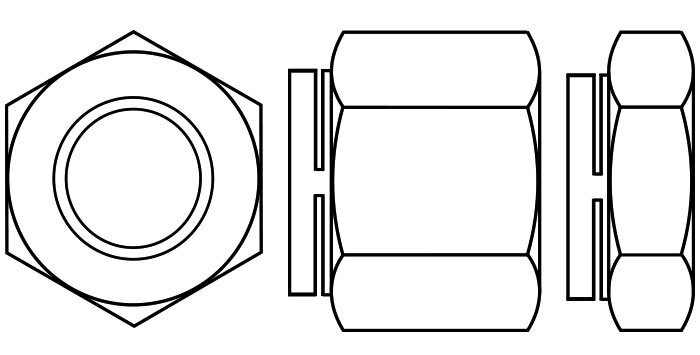 Nylon insert nuts are a type of prevailing torque nut and are found here. 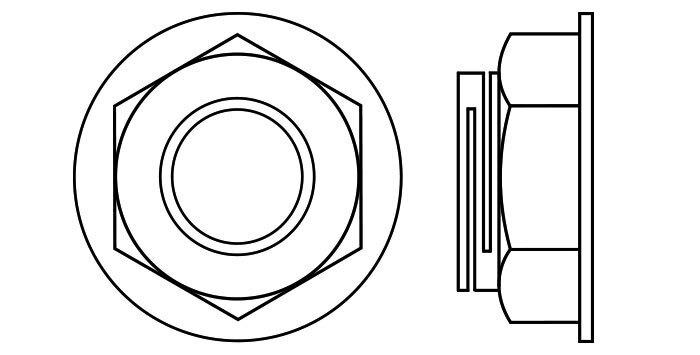 All metal prevailing torque nuts come in various different forms. These incorporate a locking feature that increases friction between the nut and it's mating part. 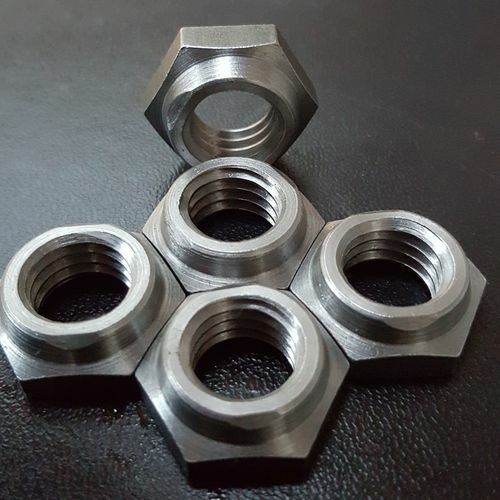 This means that you have to apply a greater force to assemble the nut and also to remove it - ultimately this means that the nuts do not loosen with vibration. Additionally, these are all metal which means that they can be used in applications where excessive temperatures exist or where certain chemicals are used. Typically, they can be used up to 750 degrees C (or about 1400 Fahrenheit). 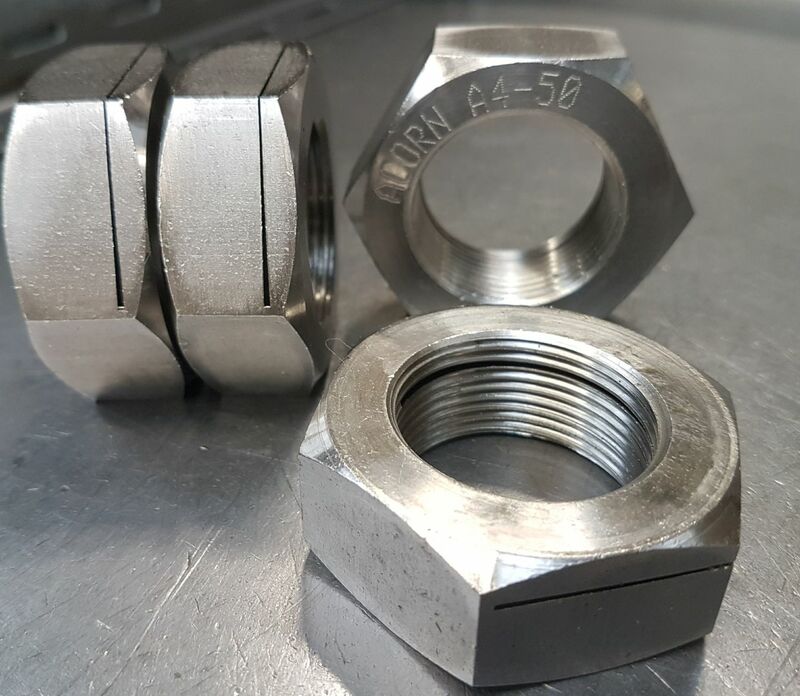 These type of nuts are typically reusable a number of times, but it has to be noted that subsequent removals reduce the 'prevailing torque' so they become less effective the more often they are removed and reapplied. 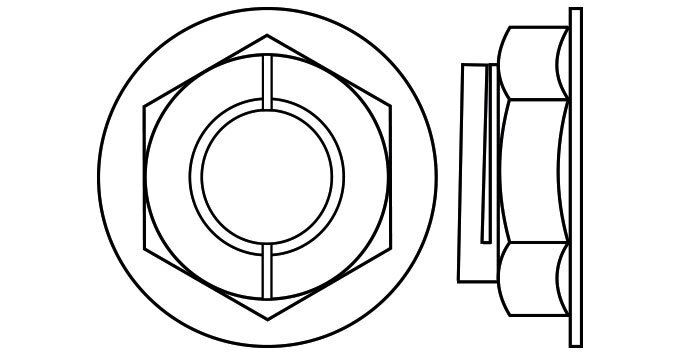 The greater the degree of deformation, the higher the amount of application and removal torque is required. 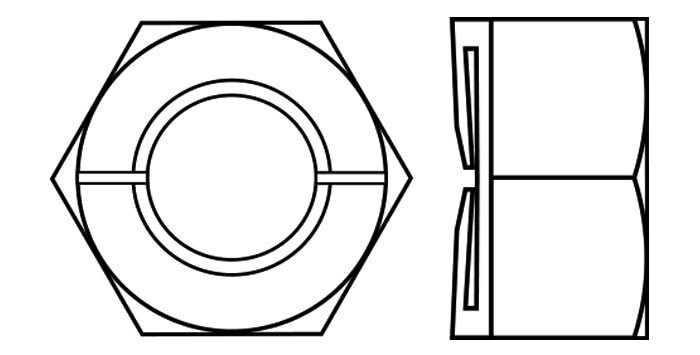 The ISO 898 standard defines the amount of prevailing torque needed for metric fasteners and the IFI 100/107 standard defines the prevailing torque required for unified threads. No standard exists for the BSW and BSF threads. 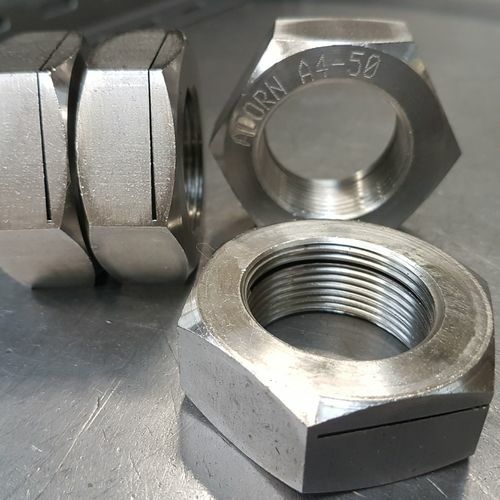 It is recommended that these nuts are applied towards the ends of a mating part because the further they travel the higher the risk of damaging threads. 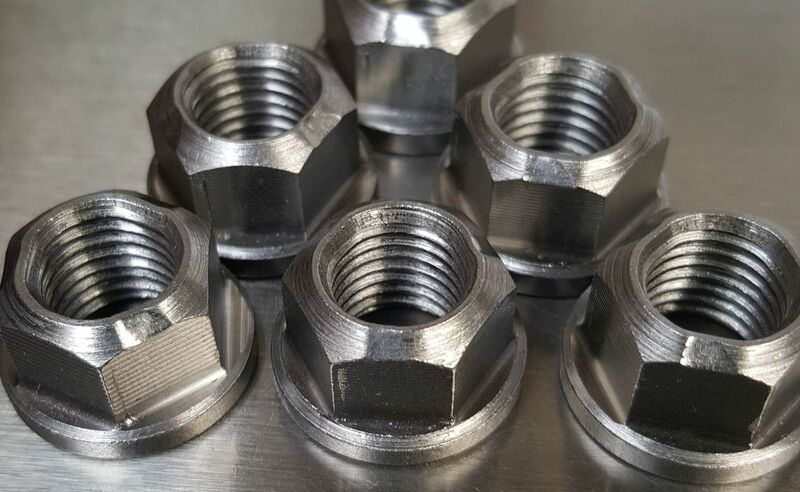 Also, high strength all metal prevailing torque nuts must not be used low strength mating parts because the hard nut will act like a die and destroy the male threaded part. 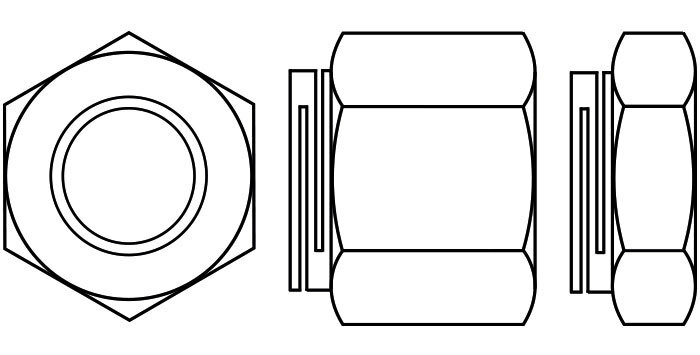 Please note that Trojan Special Fasteners Ltd does not manufacture patented and trademarked items, but we have manufactured similar items based on customer drawings that utilise some of the prevailing torque locking mechanisms shown below; the following are only given as examples of all metal prevailing nut forms. 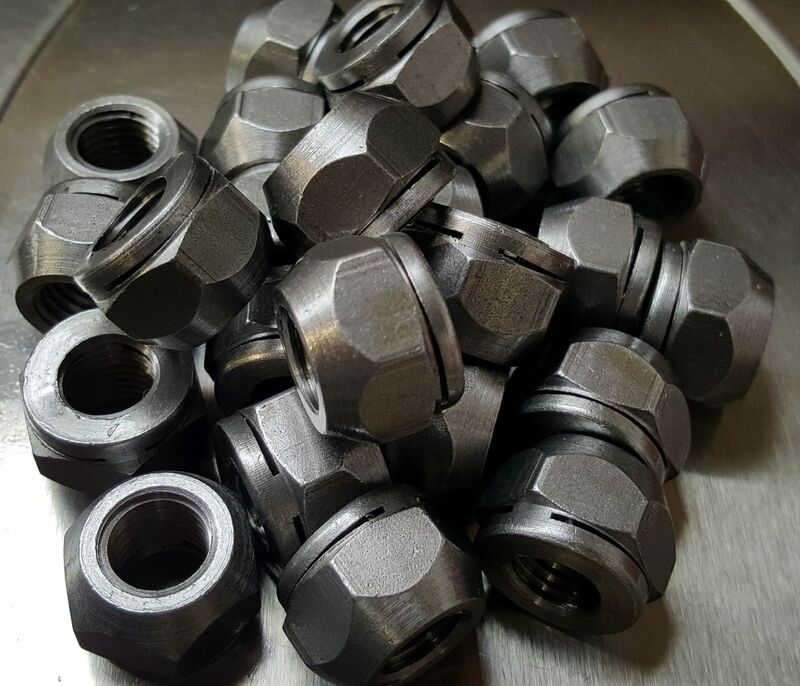 These nuts are known as automation lock nuts, autolock nuts, conelock nuts, crownlock nuts, philidas mkv or mk5 nuts, stover nuts and unitorque nuts. They typically have a conical section which is deformed at two points. 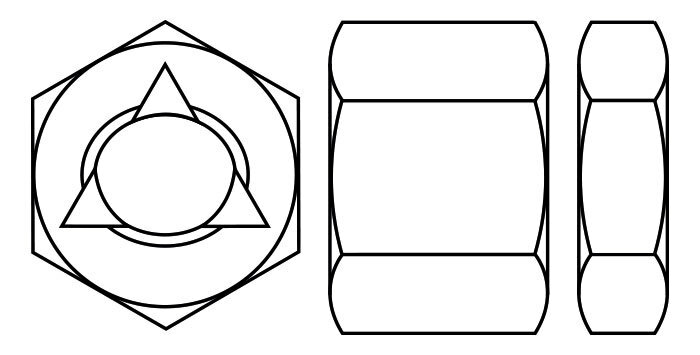 In the diagram below you can see that the nut is 'pinched' at the conical section in two points. The threads are therefore elliptically deformed. This pinching creates an increased friction between threads and thus creates the prevailing torque action. 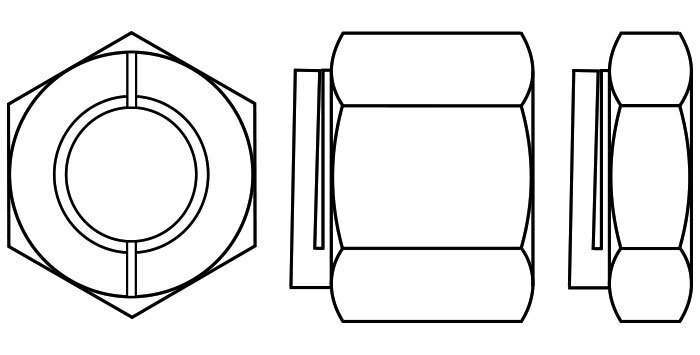 This type of nut is not reversible and cannot be mounted cone-first. 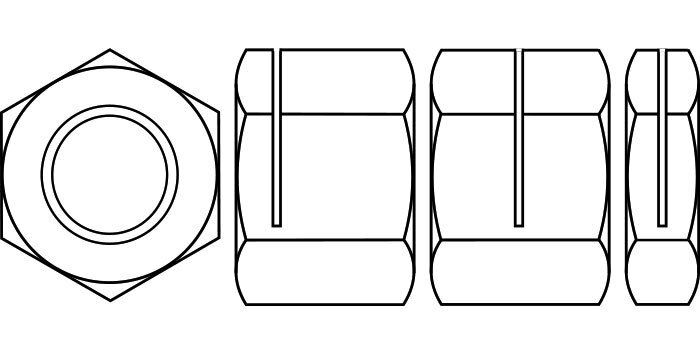 Typically, the top first or second threads are deformed - this deformation increases friction and thus prevailing torque - which stops the nut from loosening under vibration. 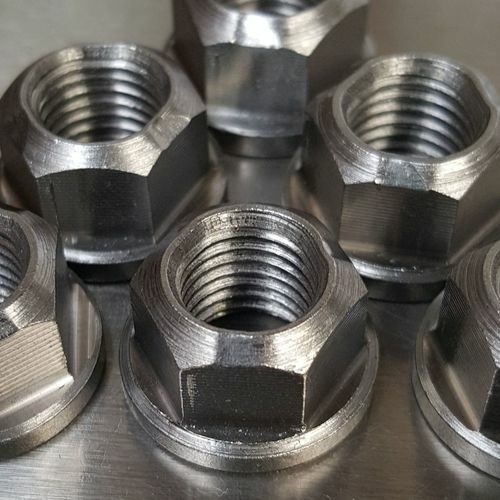 The above forms have axial slots either in a crown sections on one side (philidas and aerotight types) or in the actual body of the nut at 0.5h or 0.66h as in the case of the above split nuts. These nuts are physically deformed so that the displaced sections cause axial deformation of the thread. 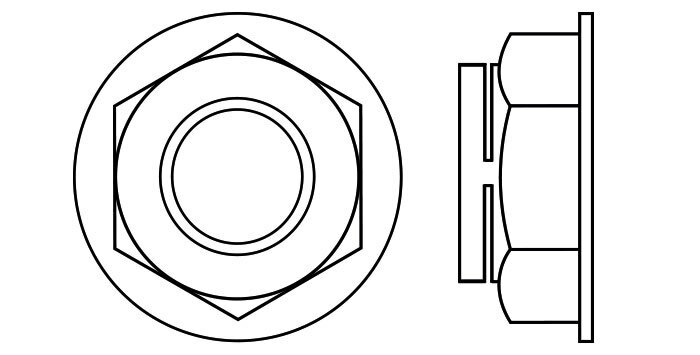 Once they are applied, they are forced back to their original position which creates prevailing torque. Other methods to provide all metal prevailing torque exist, so please note this page is not exhaustive.